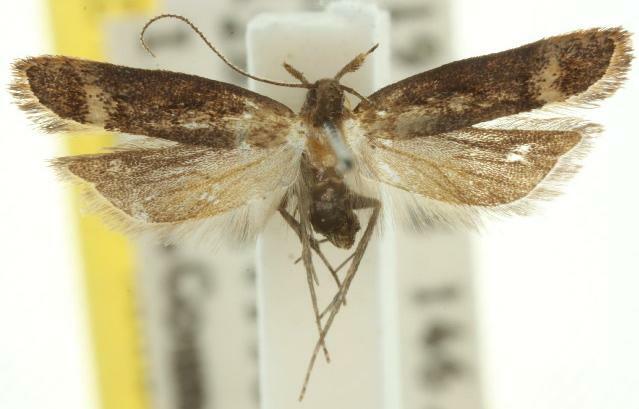 The adult moths of this species have dark brown forewings, each with an incomplete pale transverse band near the margin. The hindwings are plain brown. The wingspan is about 1.2 cms. Volume 31 (1919), p. 130.